This past weekend I headed downtown with my bestie to check out Seaport Studios. What a hidden gem! If you haven’t heard of it yet, it’s a concept store that features awesome fashion and art installations. That’s why I love living in this city! Only in NY would you find such an innovative space. It’s located right in the middle of South Street Seaport. If you ever need something different to do on the weekends I definitely recommend it. My favorite aspect of the store is that almost all of the designers showcased are NY based. 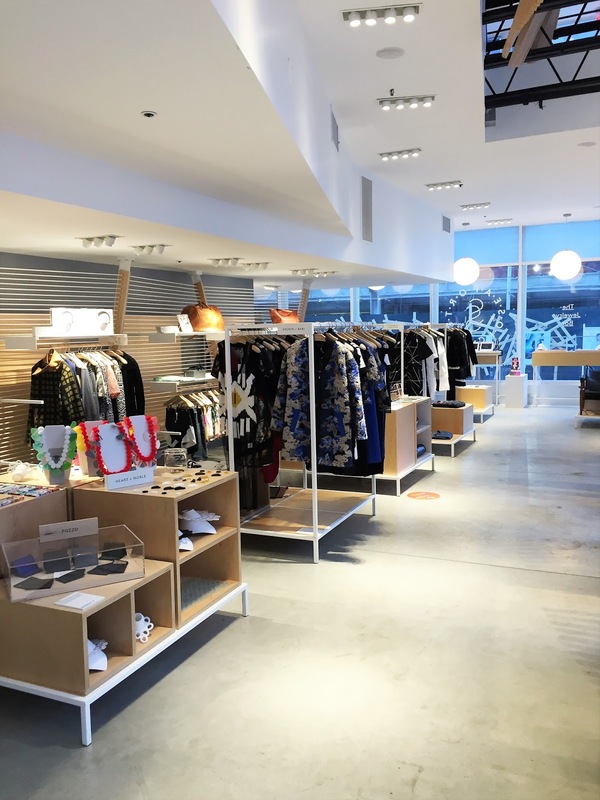 Every 6 weeks a new set of designers are displayed and the store completely changes. Some of the brands in this round are The Jetset Diaries, Sachin & Babi, Han Ahn Soon, and a ton of other emerging designers. I’m all for changing it up. It's always good to have a flow of new merchandise in a store to keep it feeling fresh. As you can tell from the pictures I had a little too much fun trying on practically everything in the store. How amazing is the pink feather jacket? I ended up buying the BABE tee by artist Baron Von Fancy, an exclusive design for the store. Lately I struggle to find clothes that are unique and this was a perfect destination for on trend special pieces. Not to mention it was a fun experience even if you’re not going there just to shop. Of course afterwards we couldn’t resist the insanely amazing food trucks just a few steps away. Gourmet grilled cheese that was to die for! To see more pictures and learn more about Seaport Studios check out their website HERE.